Chris Hadfield, an engineer and former test pilot from Milton, Ontario, was Canada’s first professional astronaut to live aboard the space station and became the first Canadian in charge of a spacecraft. He relinquished command of the Space Station on Sunday after a five-month mission that saw him become a global celebrity through his Twitter micro blog. 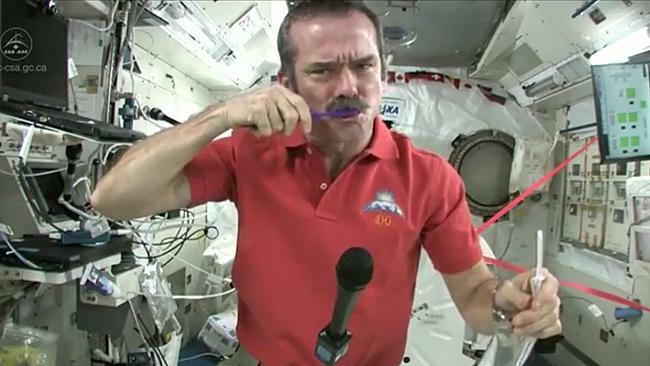 Here is one of his videos from the Space Station; Chris demonstrates how astronauts brush their teeth in space. Such a great video, enjoy!